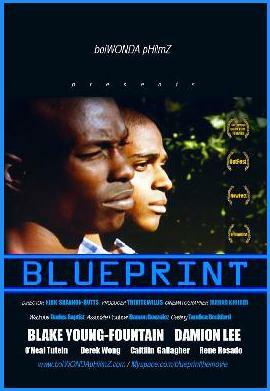 This movie made me a fan of Damion Lee, who plays the character Nathan; a smooth talking Brooklyn college freshman. In pursuit of his classmate Keith, the pair intellectually spar in an NYC cafe before taking a trip upstate where things go awry for the pair. I loved the movie and how the unstated expression of attraction played out. I also loved the introverted ways of Keith juxtaposed with Nathan's talkative and larger than life one liners. Its amazing how there were no love making scenes and yet the suspense of the will they won't they will maintain your focus. It's a nice, understated lil film. It's not out on DVD yet though, is it...? It is. The filmmaker is selling it independently via his website. http://www.flickeria.com/ . Support his art and purchase a copy! So What Do I Think Of Rob and Nate's Nuptials?